Are you planning to study abroad? If it’s a yes, you could never feel 100% prepared to go to a new country. You need to play it smart, though; discovering ways to salt away and watching your wallet carefully to increase this educational trip. Education Abroad wants you to grab a backpack, roam around, and come back successfully after becoming a doctor! However, before that, you need to hit a few checkpoints first. 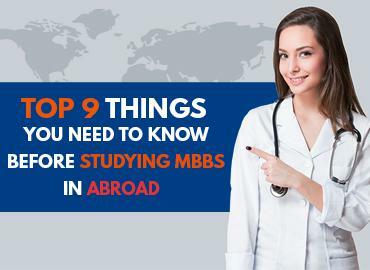 Firstly, you need to pick the country you want to visit to study MBBS in abroad you need to figure out how exactly you are getting there, and much more. Check out our top 10 study abroad tips to make your leap of faith much easier! At Education Abroad, we provide complete assistance with the documentation process. We make sure to look after our students’ application process and ensure that all of the applications are correctly processed. Along with that, we provide with the important details required throughout the MBBS course in Abroad. We assist you in preparing of your Visa Support Letter in Academy, receiving Visa Support Letter through DHL, as well as visa stamping in the passport including visa fee. Education Abroad offers one-to- one counseling service to its students to determine which university is apt for their career choice, which country is feasible as per their personal & financial constraints. We have tie-up with top medical universities in abroad. Therefore, we help our students in providing them with exclusive scholarships, timely correspondences, hassle-free applications, and best attainable results. We assist you in managing your finances for further education in abroad. Be it your own money or a loan, our expert team of counselors will help you how, when, and where to get finances settled in the most convenient, and cost-effective way. 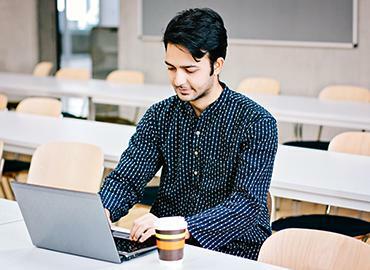 After deciding where to study in abroad, most of the students consider daily expenses. Don’t expect that the US dollar will have the same value when you checked the exchange rate a few months ago and when you are studying abroad, particularly if a country has an unstable economy. Even minor changes can make a major impact when you are budgeting for months instead of days, and you could suddenly find yourself spending Western Europe money in what you thought was a budget-friendly destination. 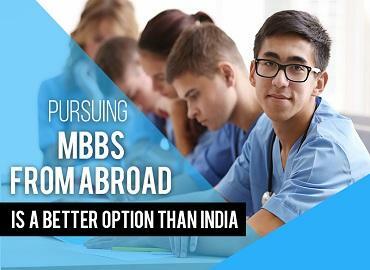 Check out all the latest activities and updates related to the country in which you are going to pursue MBBS. You can analyze if the country’s economy is tanking, if a country is experiencing major political upheavals, if the country is in the middle of a health crisis and so on. You’re going overseas far from your own country! There, wifi might be spotty, mobile network coverage could be non-existent and sometimes you’ll be 100% on your own. This is one of the reasons why studying abroad is so exciting, but it makes you vulnerable at the same time. Take comfort in the fact that, whatever happens, the government has you on their tracking system and knows who to contact in an emergency. For your own satisfaction, visit a clinic and get your regular check-up done once before leaving for studying MBBS in abroad. Moreover, this is for your own benefits! So, make sure to visit a clinic to stay healthy in abroad. We offer free visa counseling, visa file preparation as well as mock training from the team of our expert visa counselors. Also, we brief our students and their parents about the pre-departure and post-departure process as per their convenience. At Education Abroad, we look after even after the students have landed abroad. In addition, we assist our students throughout the course. Gather your itineraries, maps, etc. and make sure you keep all of these handy for a stress-free and efficient travel. Remember to organize everything ahead of time so that you can lay back and enjoy your ride to abroad! Make sure to check in frequently during your trip. Explore the country you are living in on the weekends. 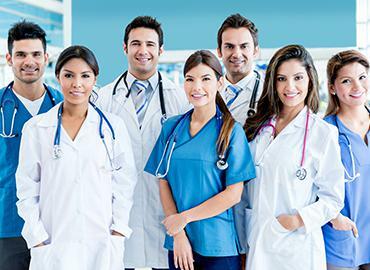 You will be learning new cultures and traditions of that country in which you decide to study MBBS in abroad. Also, make the best connections and relations with the existing students. Meet with your bank to find out how your credit and debit cards work overseas. Some banks will have their own, hassle-free ATM in the nearby area, and some might have regional partners that don’t charge a fee for withdrawing cash. If your bank doesn’t have an international presence, then plan to switch it. Lean on a traveler’s credit card as much as possible, and only take out cash if required! Feeling better after reading these points? Great! Don’t forget to pack wisely, budget well and of course, embrace your study abroad experience. All the best!